There are 11 public universities in the Kurdistan Region, and several licensed private universities. The four largest are Salahaddin University in Erbil, the University of Suleimani, the University of Dohuk and Soran University. They offer studies in various subjects leading to specialised diplomas, bachelors and masters degrees and doctorates. The University of Koya, Soran University, and Hawler Medical University were established after 2000. 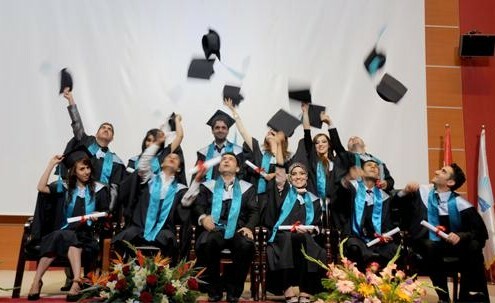 Four new public universities were established in 2010/2011: University of Halabja, University of Raparin in Rania, University of Garmian, and University of Zakho. The University of Kurdistan – Hawler, launched in 2006, is publicly funded and its only language of instruction and examination is English. At the private American University of Iraq – Sulaimani, all instruction is in English. It offers an intensive English programme to prepare students for its degree programmes. Some of the private universities in the Kurdistan Region include Cihan University, SABIS University, Ishik University, Dijlah College, Lebanese French University, Hayat University, the University of Human Development in Slemani, and Nawroz University in Duhok.